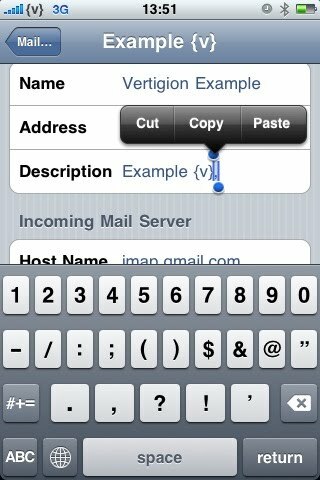 iPhone Mail "Send As" Settings - Figure IT out! Well, I’ve finally found the solution for the last option. I’ve been digging around the internet for a while and read some things that led me to the right solution. 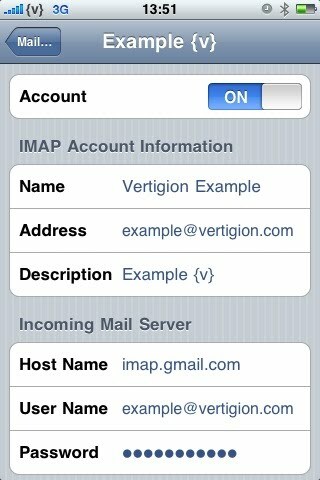 I was able to get my IMAP configured to send as any of the many email accounts that I dump into that account. This is fantastic because (among other things) I’m a student at UNT. When I reply to my Student related emails, I do not necessarily want my Teachers to have my personal email address. Now, I can reply from my iPhone with confidence. Hope this helps you all out as much as it has helped me out! Cheers! Note: This DOES include GMail, since that’s actually the service I’m IMAP'ing to. Note: There’s plenty of help online with this, so I’ll focus on the task at hand. The rest of this instruction set assumes that your IMAP account is configured. These instructions are NOT guaranteed or even likely to work in any account (i.e. : POP, Gmail IMAP), except an IMAP account. The settings are slightly different in each. The funny thing is, even GMail suggests that you use regular IMAP setting when you are configuring your iPhone or iPod Touch to connect to a GMail account. Select Cut, to remove the Comma (,) from the Description field and store the Comma (,) in your clip board. 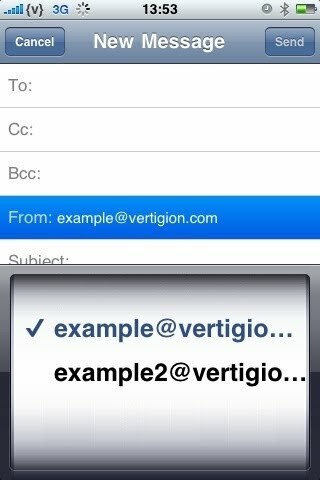 Demonstrated on iPhone OS 3.1.2 (7D11). Currently have this working on iPhone OS 3.1.3 (7E18). Still working on iPhone OS 4.2.1 (8C148a). Still working on iPhone OS 5.1.1 (9B206). Still working on iPhone OS 6.0 (10A403).